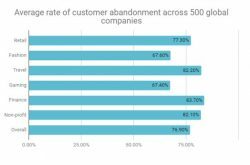 Customer abandonment is what happens when a customer is in your sales funnel, looking at the range of products or services available, and instead of proceeding with the purchase to check-out, they jump ship. This occurrence is so prolific that measuring and addressing abandonment rates has become a science in itself. Sales managers calculate the abandonment rate in a percentage of the number of customers that made a purchase versus the total number of unique customer interactions (be they calls, website visits, email exchanges etc). Most CRMs are configured to track these numbers. Were all the phone plans clearly presented to you? Did the plan you were interested in, have the necessary information to make an informed decision? Was the process of purchasing on line easy to complete? If you called a call center, were you answered quickly? Was the agent able to answer your question? If you answered in the negative to any of the questions, you may well have become an abandoning customer. Undoubtedly customer expectations are high and difficult to meet, however studies show that customer abandonment rates are extremely high. Though there is discrepancy between industries, overall customer abandonment rates are at 76.9 percent. Finance has one of the highest rates at 82.9 percent, while retail fashion has one of the lowest at 67.6 percent. Going even one step further, some companies take a proactive approach to engagement. By monitoring when customers are about to leave, they jump in to try and re-engage. 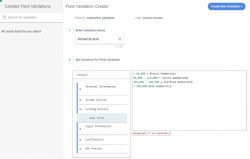 This is done by connecting website analytics with the company CRM to inform marketing and sales teams of where on the website customers abandon the processes, and identifying a method of drawing them back again. In many cases customers give up on the process because they have difficulties associated with their customer account, including login. According to one report, by 2024 the average consumer will have 400 different online accounts, for all of which they are recommended to have a unique password. That’s a lot to remember! Nielson Norman Group found that 23 percent of online shoppers said they wouldn’t make a purchase if they had to create a new user account. As the second biggest cause of customer abandonment there is great necessity to minimize account and login issues. Customer self-service can incorporate the entire purchasing process, from product research through to purchase and feedback. When done well, it is great. The key is keeping processes as simple and easy as possible. Another benefit of integrating purchase processes with the CRM is that customer details can be automatically populated to a form, thereby shortening the process. Going back to the insurance policy example, let’s say a resident of California decides to purchase the fire protection policy, as they fill out the application form, information already held about the customer on the CRM is populated to the screen. The customer doesn’t have to fill out their name and location for example, but just the type of policy they require. This reduces the number of fields the customer needs to fill in, and increases the probability of the purchase being completed by as much as 85%. If your purchase processes require customers to fill out a form, make it as easy as possible for customers to submit forms to you. Form abandonment occurs when a customer start to fill out a form and then for one reason or another abandons the process. Studies have shown that form abandonment is costing companies in the billions from lost sales. No longer can you expect customers to print out a form, sign it, scan it and then send it back. 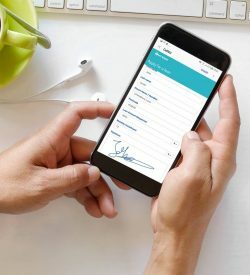 To make processes as simple as possible, you need to provide customers with a digital application form, optimized to their device, that enables them to digitally sign their signature and upload documentation or rich media directly to the form. 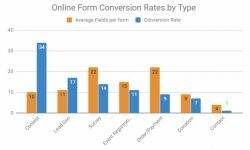 While conversion rates vary in terms of the type of form that customers fill out (contests have a much higher conversion rate than forms to collect contact details), what is consistent, is that the more information fields on the form, the less likely people will complete them. So, while forms are often used as an information gathering exercise, if your primary goal is to sell, than be highly selective on the questions that you require your leads to fill in. There are numerous benefits to fully digitized forms. 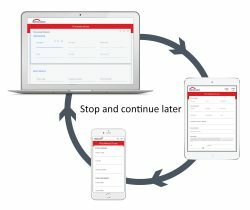 Data is continuously auto saved and therefore never lost, customers can switch between devices or channels and never have to start the form from the beginning. As mentioned earlier, customer details can be automatically populated to an application form, reducing the number of fields that need to be filled in. 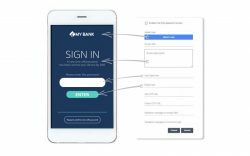 Digital forms can be designed to be highly dynamic by incorporating contingent elements such as; and, or, if, more than, less than, equal to, etc. In a digital self-service customer journey, this enables for subsequent screen displays to be varied according to the customer’s responses. For example, in a mortgage loan application, if the customer puts in a certain income bracket, according to the logic set by the administrator, the next screen displayed may be the relevant interest rate offer. The ability to customize the self-service journey, keeps the process short and seamless. Perhaps what is most important is ensuring that human interaction with a live agent is always available. While the features mentioned above are designed to keep onboarding processes short and sweet with optimized self-service, there are times when customers want to speak with a human being. There are numerous reasons; obtain confirmation, an unusual question, seek more information etc. If they’re unable to speak with a human being, they’re undoubtedly going to abandon the process. Therefore it’s critical to enable live human interactions with an agent at any point in the customer journey to acquisition. Furthermore, these live interactions need to be optimized to ensure resolution. Agents can be provided with tools that work in real time to support their collaboration with customers. Such tools may include the ability to share screens, co-browse documents, host live video chats and exchange rich media. This higher level of collaboration provides added clarity that would otherwise only be available in a face to face interaction. This ensures any issue no matter how complex, can be easily resolved. Companies have only achieved half the battle by bringing customers to interact with them. To ensure the battle is won they need to overcome, or dramatically reduce, customer abandonment rates. The key is keeping processes as easy to use and as quick as possible through optimized self-service interactions. However if human assistance is required, it’s important that it is available, as a positive interaction is critical to building customer loyalty and trust.